Please contact the restaurant for options. Nestled in chic Thornton Park, Shari adds a level of sophistication and a tingle of excitement to the area with its dynamic style of Modern Japanese Cuisine. Full bar and stylish atmosphere. 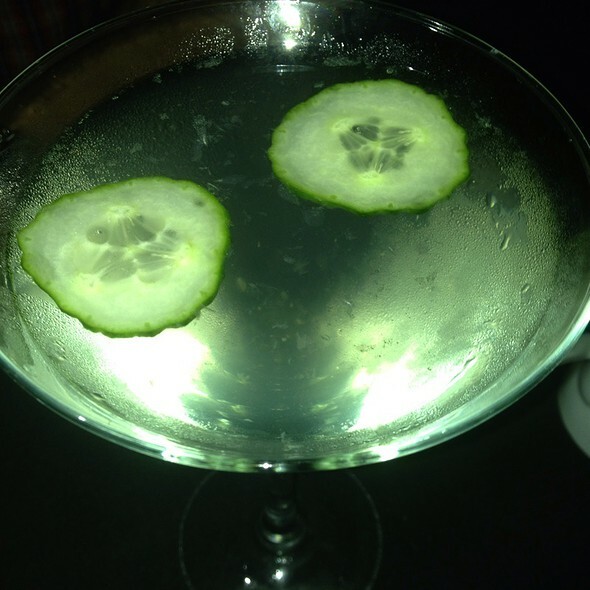 Innovative drinks and unique menu selections. More than sushi, it's Shari! Happy hour portions are smaller than they’ve been the last 5 years. One of the hidden gems of Orlando. Fantastic food and very fresh fish! The owner and the staff is very attentive and helpful. They have raised their prices and the quality of the food has gone down, wasn’t happy at all. We will be looking for another sushi place after this experience. All the sushi rolls we had were great quality and tasted amazing. The chocolate cake was good as well. I haven’t been to Shari in over 4 years. I see why it wasn’t as busy as it use to be. The service was VERY slow. The sushi came out about 1.5 hr later and it was horrible. The quality has definitely went way down and I will never return. Our bill came and I paid it because when I mentioned how awful it was, the server didn’t care at all. $300 WASTE! Don’t spend your money here, there’s so many other sushi places that taste fresh and well worth it. Not Shari. I’m done. Our waiter Nick was amazing as always!!! Overall the food was decent but nothing to brag about. I enjoyed the ambiance and service. They recently changed the menu which isn’t updated on this app so we were told we could still order the Gold Digger roll that’s not on the menu anymore which is a $20 roll so when it came with no gold flakes we sent it back. I noticed both times the cooks were shaking their heads at the waiter and saying a bunch we couldn’t hear what they were saying but they took the gold digger off our plate and gave us another plate with our other 3 rolls. Our favorite was the white gypsy. The drinks are very creative tasty and strong. I would go back during the day time but not dinner. Still their sushi is good but not the best I’ve had. There’s actually a kiosk at Altamonte Mall that has better suishi on the first level. Food service and atmosphere were excellent. If I had to pick some less than ideal... maybe the food took a wee bit long to come out? But that's a super minor nit to pick--it was excellent, and doubly excellent because we were there during happy hour and their deals are incredible. Friendly, helpful server who was very attentive. The server was great however, the food quality and taste has really declined. Not as good as it use to be! Loved it that they have a vegan menu! And they did vegetarian substitutions too. Long time customer, usually a 5 out of 5 for the sushi. But the sushi wasn’t what I’ve come to expect from Shari. Will always go back though. I’ve had so many fantastic experiences from them that I’m sure it was just an off night. Always consistent - consistently good! Our server, Nick, was amazing and we sat outside in the gorgeous “winter” (but more like spring) weather. Happy Hour is a great deal, but we couldn’t resist the sashimi dishes, as usual. Great! The waiter was adorable! The food was delicious! Presentation and service was amazing. We continue to come back and are always very happy with our meal! Exceptional food and unique surroundings. Very enjoyable. Great Sushi, must try! Whenever my wife and I head to Orlando for Sushi we eat here. It’s a great restaurant with great food. We had a phenomenal time at Shari! We came into Orlando for a quick get a way and saw this place advertised and it lived up perfectly to our expectations! 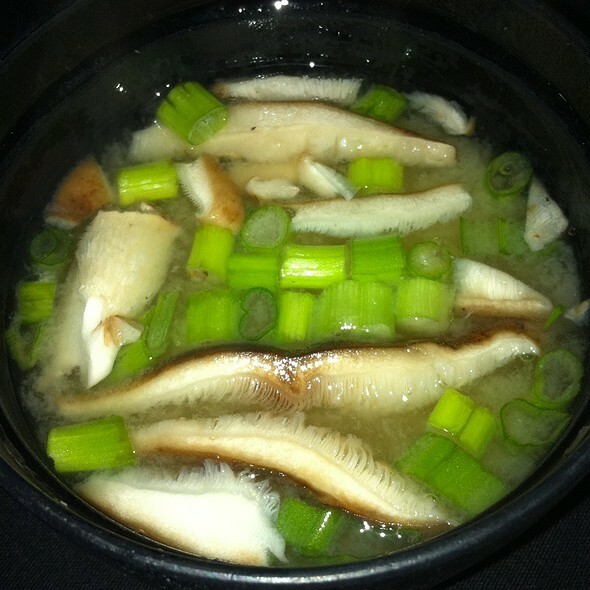 Sean H. Our server was attentive and had excellent recommendations! We will definitely be back!! We went for my wife’s birthday. We were there during happy hour. We sat at 5:30 ordered drinks apps and sushi. We got drinks and appetizers quickly, but the 4 sushi rolls took nearly an hour to arrive. We had planned to doing another order but the time it took to get them forced us to head out early due to a showtime at Dr Phillips center. The server kept the drinks full and did bring a birthday dessert which was great. I just wish it didn’t take as long as it did. 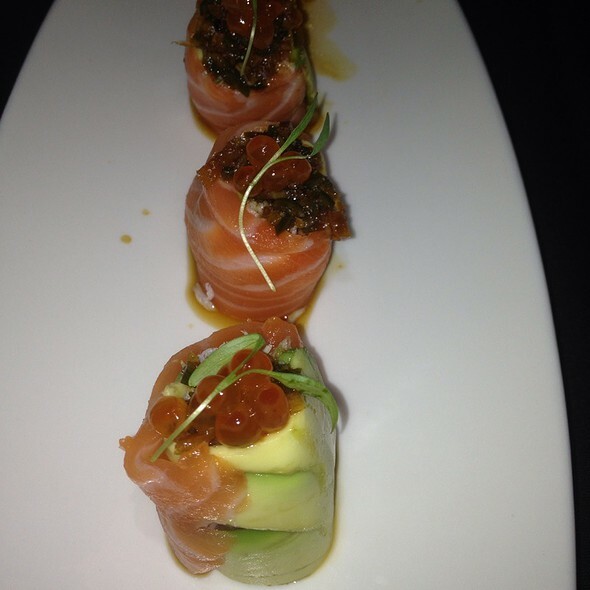 Shari is our go to sushi spot. 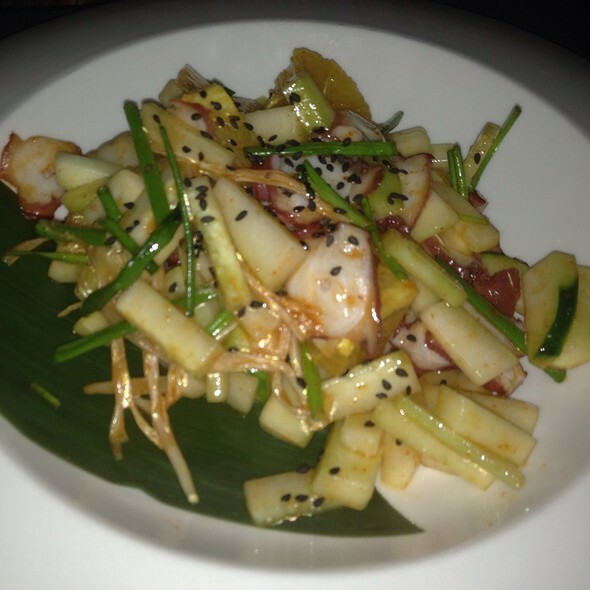 Great food, sushi happy hour, service and location. Apps where underwhelming for the price paid. Rolls were good but also over priced. Shari used to be a destination sushi spot. It feels like it’s lost it’s edge. They no longer have Asian sushi chefs... some of the best premium rolls are gone and the vibe is down. It’s still good but feels tired ... overdue for investment in decor and concept. I’ve lived within walking distance for about 12 years.. not terrible.. just all of the buzz is gone. 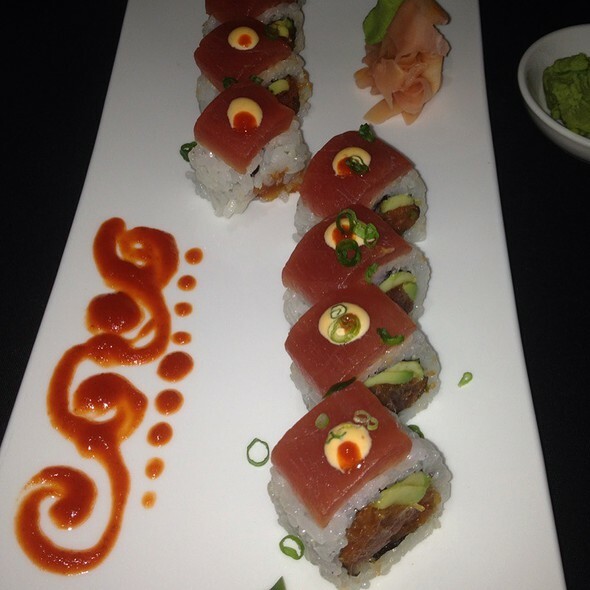 Fabulous sushi in Thornton Park neighborhood of Orlando. Sashimi was excellent! When we showed up, despite having an open table reservation, they did not have a table for us so we had to sit at a tiny table in the bar/lounge area. Service was slow and it took an unusually long time to get any food out. Was about 25 minutes before we got our first app. The food was okay but nothing special. 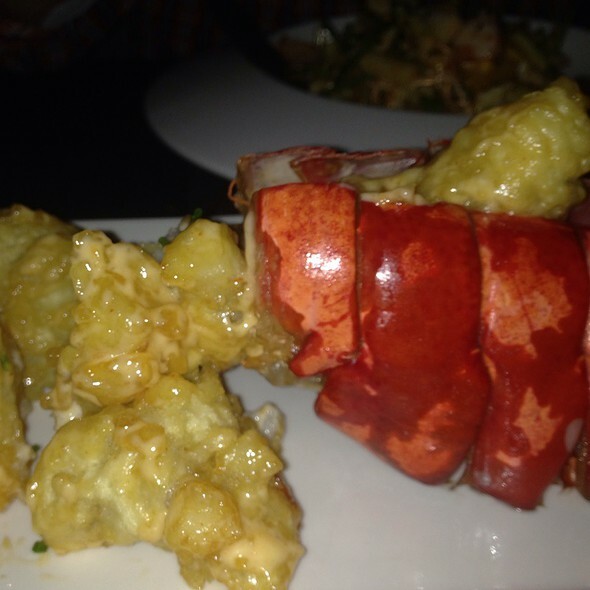 The buffalo lobster app was one of the better things we had. Ambiance is great. Service was very slow. Food was not impressive. Manager was inexperienced. Love happy hour sushi. Amazing quality!! Nick is as a really great sever and his suggestions were spot on. The spit edamame and gyoza to start we’re superb. Happy Hour is my favorite time to go there, such a great deal but I felt that there options have become a bit limited over time. I do not eat salmon and almost every item had salmon in it. They also stopped serving the banana egg rolls which were amazing, BUT nick was nice enough to get me the coconut ice cream that accompanied the egg rolls. I would of course go again and will suggest it to my friends. Lovely time as always, one of my all time favorite sushi restaurants! Good quality sushi but nothing really special. Excellent service, though it wasn't crowded when we were there. Food was amazing! I set up a reservation long time ago for a birthday, I spoke to the employees several times days prior to the reservation and they never gave us our birthday dessert. The waitress was not the best at attending to us, we waited for a good while before getting refills. Food and service were both wonderful! Shari is always excellent! Excellent service that my wife and I really liked. It is a nice place and the food is good. Our server Emerson was very nice and informative. We celebrated my cousins bday and she thought the food was good. Quite a few new items were added to the menu. Enjoyed the beet salad, new poke B, and salmon dish with mushrooms. 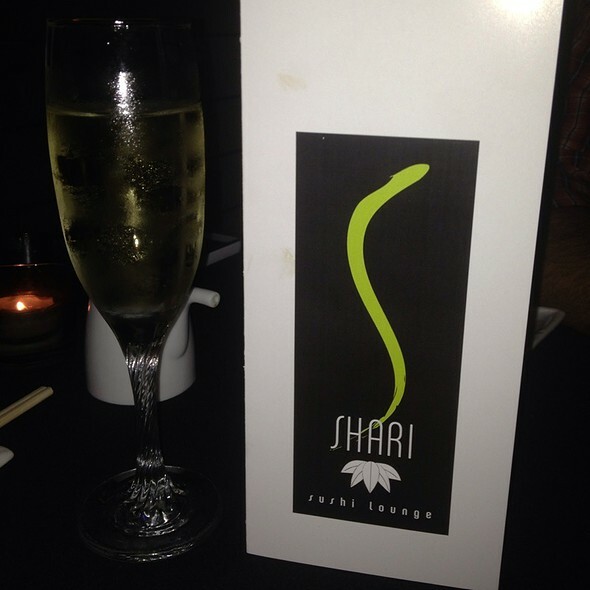 Excellent, as always, we have been coming to Shari for many years and the meal was exactly what we have come to expect. Food was fantastic and loved the atmosphere. This used to be our favorite sushi spot, but something has clearly changed. The bar was always terrible, but the sushi always made up for that. Now, it’s just terrible. I am not sure if there was a change in ownership or chef, but it simply terrible. One of favorite appetizers - the pork belly - is a huge miss now. The slices are pathetic - we had to return it since they were so thin. Additionally, the Moriwase that we used to love now comes served on a wood board with the ice block placed on it which casues the nigiri to get wet. The rice falls apart and the special, imported soy even tasted watered down. 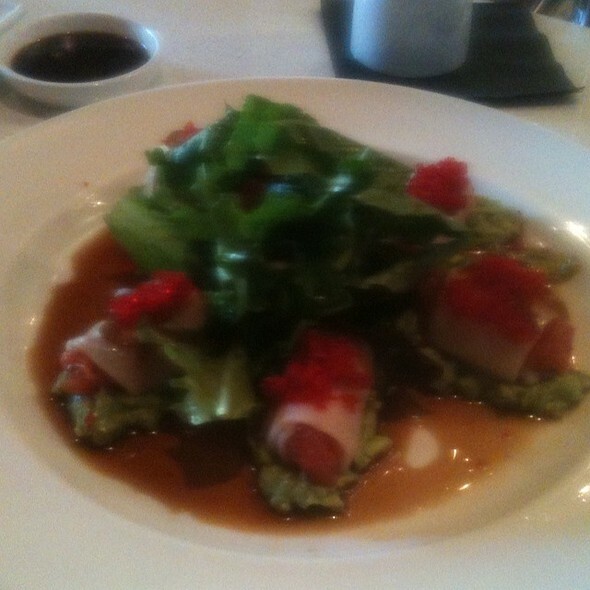 We even tried the new Snow White tuna appetizer and it was tasteless - guacamole and sushi doesn’t work. It was a sad evening and we will not be returning. 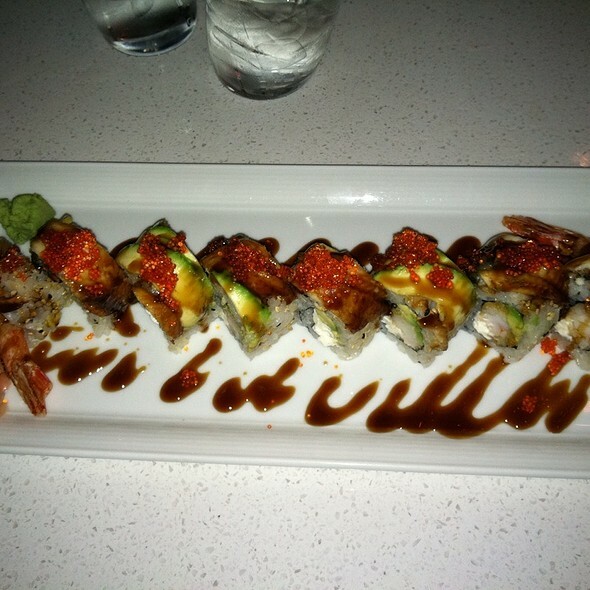 Great sushi and fantastic service every time!